An Inspector Calls was one of the first plays I ever really studied, and yet still to this day I find it as interesting and multi-faceted as I always did. The story seems simple enough; a family sitting down to dinner receive a visit from a mysterious police inspector named Goole, investigating the suicide of a young girl, who mysteriously seems to be connected to every party member. However, as the play goes on, it becomes clear that the Inspector may not be who he says he is, and his inspection of the family may not be happening for the reason they think it is. 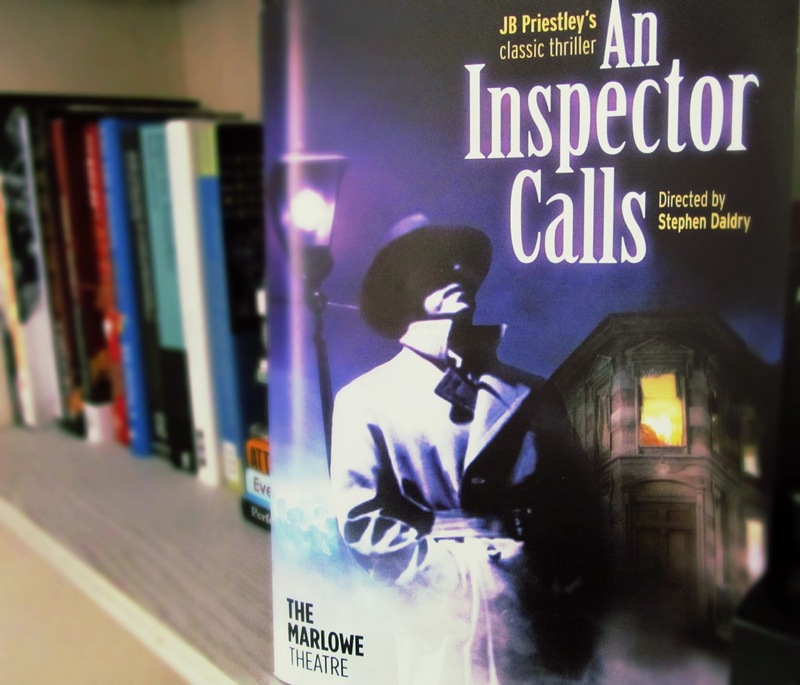 The brilliantly gripping plot, and interesting social commentary presented by playwright J.B. Priestly is surely the reason behind why An Inspector Calls is considered a classic today. Therefore when the UK tour of Stephen Daldry's staging of An Inspector Calls visited my local theatre, I was excited to see it. Especially given the countless 4 and 5 star reviews I had read before I attended. However, while the plot was just as shocking as always, I sadly found myself a little let down by the production as a whole. Firstly, the set seemed unfit for a theatre with a curved seating area. For the first 10 minutes approximately, the family scenes took place inside what looked like a large dolls house dining room, with all four walls intact. I think the idea was that the audience is supposed to only catch glimpses of the action from through the windows, however, from my side view seat I could see nothing almost nothing. Additionally, the walls muffled the actor's voices, meaning that throughout the whole of the first establishing scene I could neither see or hear much of anything. Unfortunately, when the house finally opened up (a very clunky moment in the plays opening third) my issue with the visibility of characters didn't improve very much, as it seemed that no character's monologue was deemed perfect unless they ran to the back of the stage and then ran forwards again to exaggerate their point. This direction got tiring and repetitive very quickly and also made many of the moments much more melodramatic that they needed to be. In fact, I think the main issue I had with this production overall was its lack of subtlety. Of course the play is full of clever hints and allusions, but in this production all of symbolism etc. seemed heavy handed. It almost seemed like the whole production was designed with GCSE English students in mind (the play is still on the syllabus). Some of the elements were admittedly quite clever, and as a 16 year old wannabe A* student I would be having a field day. But sadly I'm a bit older than 16 now and so was quite a lot of the audience, and therefore this symbolism just didn't seem subtle enough. Not even the spot on performances of Liam Brennan as the abrasive inspector, or Caroline Wildi's humorous take on the detestable Sybil Birling could detract from the larger faults in this production. As one of my favourite plays, I was really hoping to love An Inspect Calls, but sadly I personally found it unsubtle and by-the-numbers.